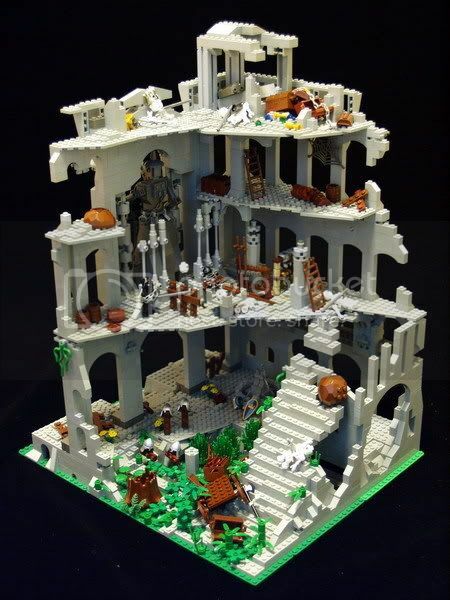 This gorgeous ruined castle by Haung showed up on Brickshelf‘s “Recent” page a couple days ago, so even though he posted it to MOCpages back in January, it’s definitely worth a blog now. 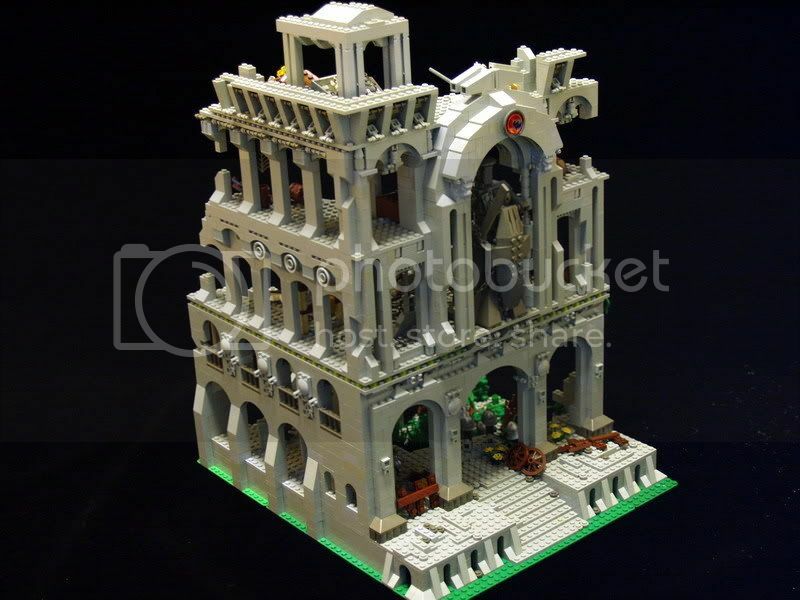 See more pictures in Haung’s MOCpages or Brickshelf gallery. For some reason every time I see this, even though it doesn’t quite fit, I think of the dying world of Charn from “The Magician’s Nephew”. Holy– um, cow!!! This is great. All the details showing both the decline and original greatness of the castle. Reminds me of the Crypta Balbi museum in Rome, which reconstructs the decline and cannibalization over the course of 1500 years of a small forum, theater and temple near the Largo di Torre Argentina. Medieval lime kilns built out of Roman marble sculptures etc. WOW! This awesomne! So detailed as well. I wish i could make something this awesomne!